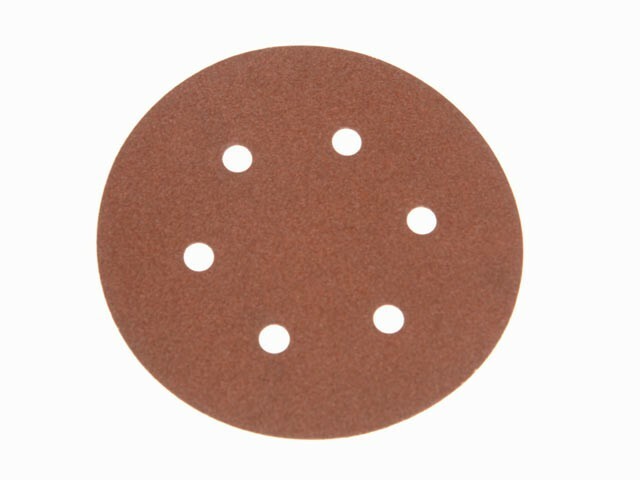 Faithfull 150mm Hook & Loop Sanding Discs made from aluminium oxide abrasive on a flexible E-weight paper backing. With the added convenience of the Hook & Loop quick change system. Pre-punched for use on random orbital sanders with integral dust extraction systems. Suitable for use on wood, metal, plastics and filler.